A company constructs buildings that astonish.The Shard, the London Eye and more besides. Each time these global visionaries build in a spirit of adventure. 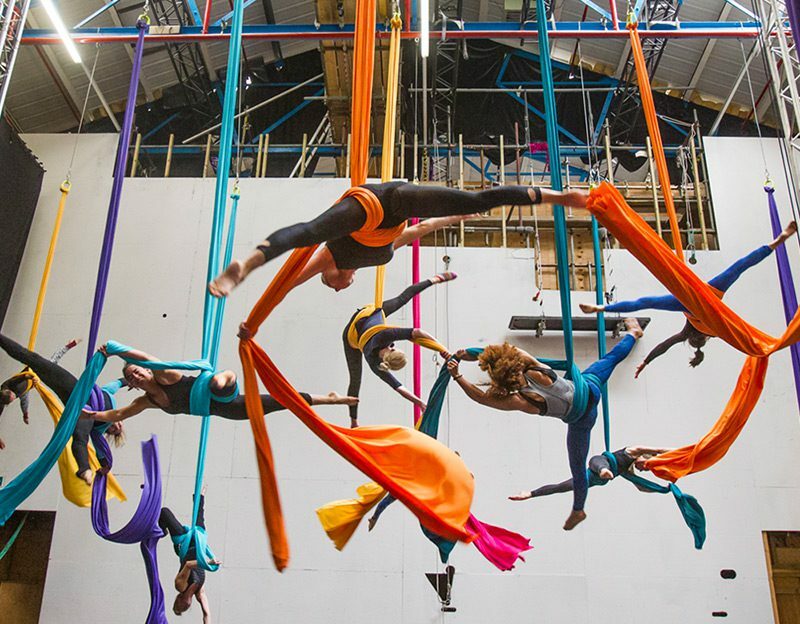 Now they take their 25th anniversary guests on an adventure and this one also requires everyone to look up – to 25 other-worldly international aerialists. Necks crane. Silken banners in MACE’s trademark orange and purple and green move this way and that. 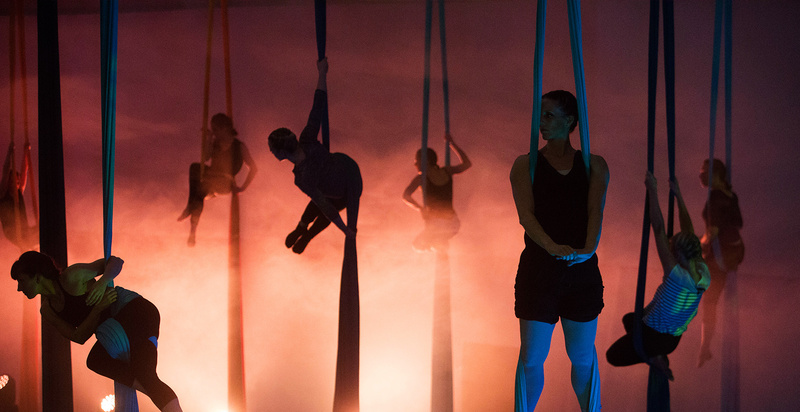 It is the aerialists, climbing up them, higher, and then higher still, their movements perfectly in synch for five whole minutes. It is a feat of agility and stamina. 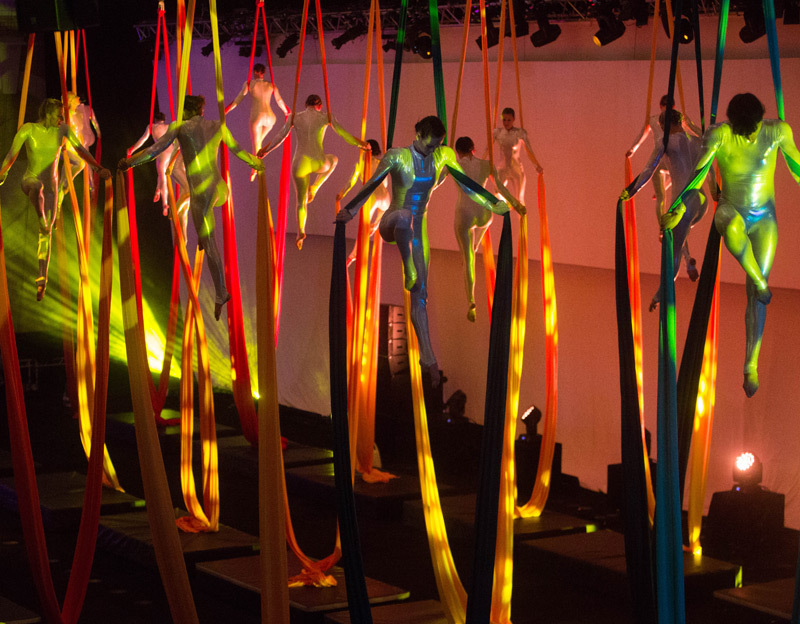 It is the longest synchronised aerialist performance. Ever. History is made. They make it into the Guinness World Records. Bring on the drum rolls. PDE responds creatively every time – their experiences are always unique and memorable.